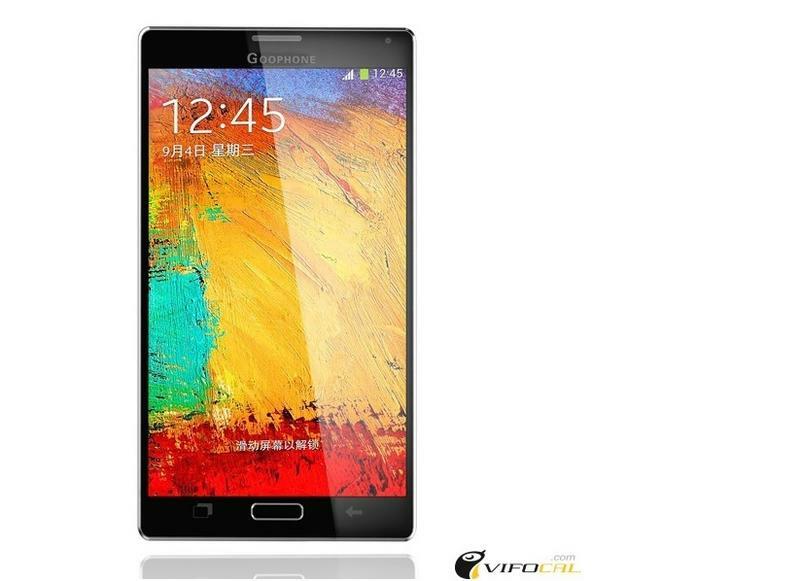 Samsung hasn't even confirmed the Galaxy Note 4, but a Chinese knockoff is already making the rounds. The Goophone N4 comes from the same company that brought us copies of the Galaxy S5, iPhone 5s and the HTC One. Now it's back with a Note 4 clone that's likely to offer a significantly worse experience for a fraction of the cost. The Goophone N4 comes equipped with a 5.7-inch 1080p display, a Cortex-A7 octa-core processor clocked at 1.7GHz, 3GB of RAM, 16GB of storage, a 3200mAh battery, a 13-megapixel rear camera and a 5-megapixel front-facing shooter. By comparison, the actual Galaxy Note 4 is expected to offer a 2k 5.7-inch display, a 2.5GHz Snapdragon 805 processor, a 16-megapixel camera and 4GB of RAM. Samsung's upcoming phablet will also come with the latest S Pen stylus, which Goophone opted to leave out. You can't actually pick up the Goophone N4 just yet, and the company says pre-orders won't open until September 15. Samsung is expected to unveil the Galaxy Note 4 at an Unpacked event on September 3, so the flagship phablet could actually hit the market ahead of its Chinese clone. Goophone's one and only advantage over Samsung may turn out to be price, though we'll be happy to pay extra for a high-quality smartphone as long as the Note 4 lives up to the hype.